One of the landmarks of downtown Houston, TX was, and is, the Rice Hotel! Only five homes remain in one of Houston’s most historic neighborhoods. Drake Homes brings you a rare opportunity to own a new home in Houston’s historic Heights neighborhood. Ashland Square is conveniently located just northwest of downtown Houston at 26th and Ashland, giving homeowners easy access to the city’s most exciting shopping, dining, and entertainment options. Enjoy old-world elegance with all the latest conveniences. 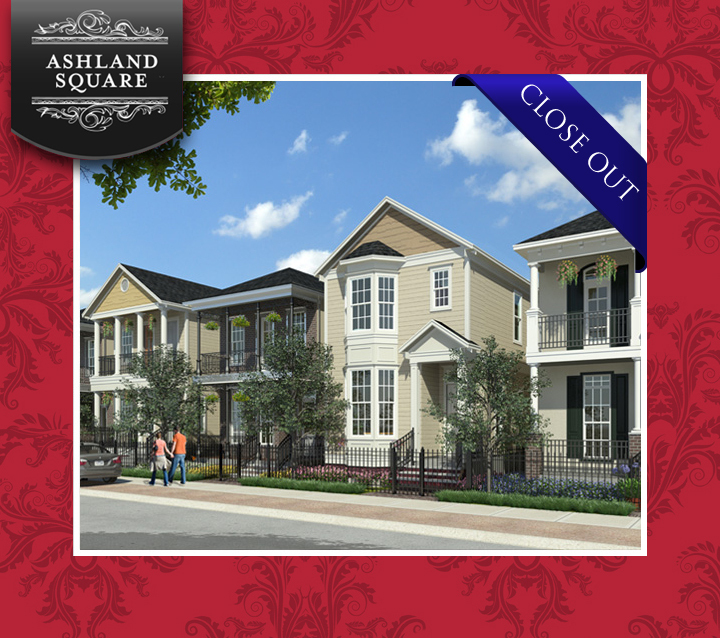 Ashland Square features beautifully designed and masterfully built two-story homes with gorgeous upscale finishes and unique features. Convenient access to Highway 610 and Main St.
Why choose Drake Homes? The reason is simple: Drake Homes has established a reputation as a premier builder of beautiful homes inside the Inner Loop. We’ve been building homes in Houston since 2001, creating stunning spaces for living and entertaining. We pride ourselves on both meticulous attention to detail in every home we build and establishing genuine relationships with the home buyers who entrust us with construction of their new home.